The small church, surrounded by vines and fields in the commune of Thénac, southwest of Bergerac in the Dordogne, was built in the 11th and 12th centuries. It is one of many Romanesque churches in the department, but Thomas Hettlage, president of Les Amis de l’Eglise de Monbos (AEM), said this one is unique, with features found nowhere else in the region. He said: “It is not a typical Romanesque church as it has four columns with extraordinary figures carved on them. Their origin is a mystery and there is a possibility that they are very ancient and even pagan in origin. The unusual stone sculptures attract visitors from all over the world, from as far away as Australia. But the rural church is in poor condition and there are many features needing restoration. Mr Hettlage said: “The most urgent job is to restore the medieval painted walls and there is already a study in place to see how best to do this. “The project will cost around €37,000 and public funding will pay for about 45% of it, and we hope to raise at least €13,000 to make it possible. Mr Hettlage hails from Germany and took over as president when his neighbour was too ill to continue. There are 130 members and around a third are non-French: people who fell in love with the church when they moved to the area. “We have three concerts a year in the church to raise money and have recently given €1,000 to help pay for the study for the first phase of the restoration,” he said. 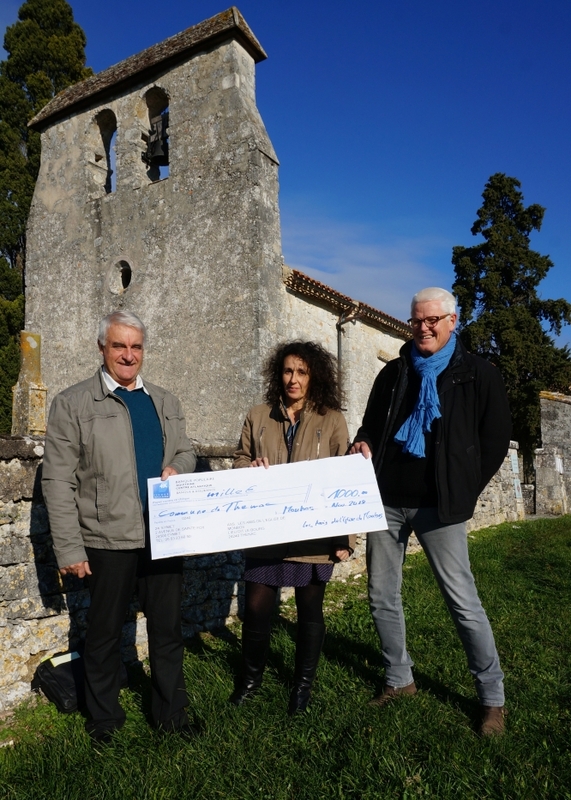 The financial needs are enormous but Les Amis de l’Eglise de Monbos hope to pay for a fair share of the costs. The association welcomes anyone who will help them to save this very special country church. Contact the association by email at eglise-de-monbos@laposte.net.